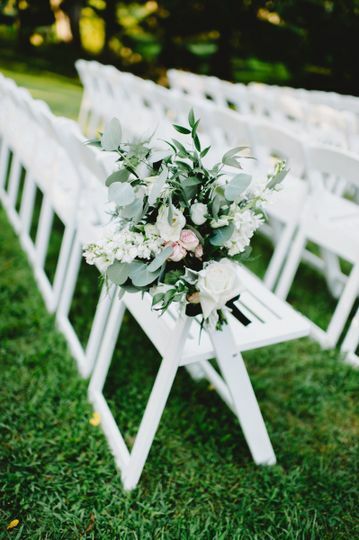 A professional wedding planning, floral, and design company based out of Friendsville, Maryland, Farmhouse Fete is committed to providing you with magazine-worthy looks that will have everyone at your wedding in awe. Their team is passionate about their work and love creating chic and stylish designs that fit your vision and are unique to your event. 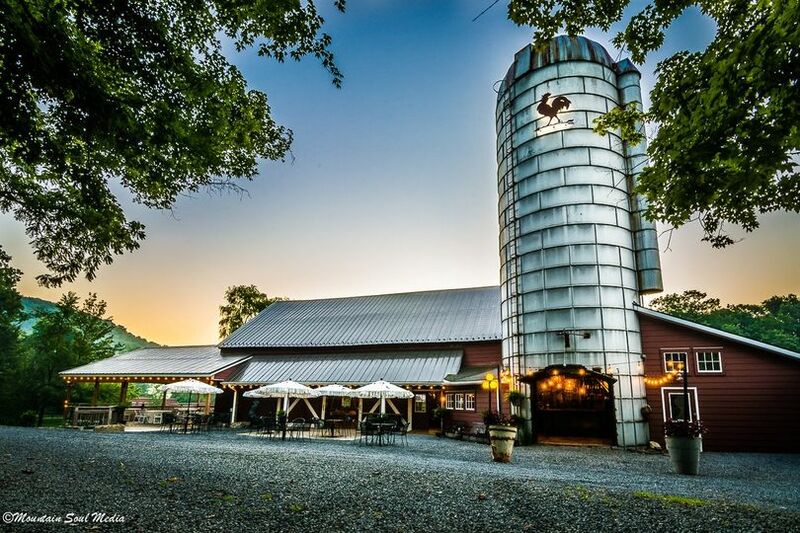 Farmhouse Fete will begin your experience with a consultation to discuss your event, and can also visit your venue so you’ll know all your event design options. 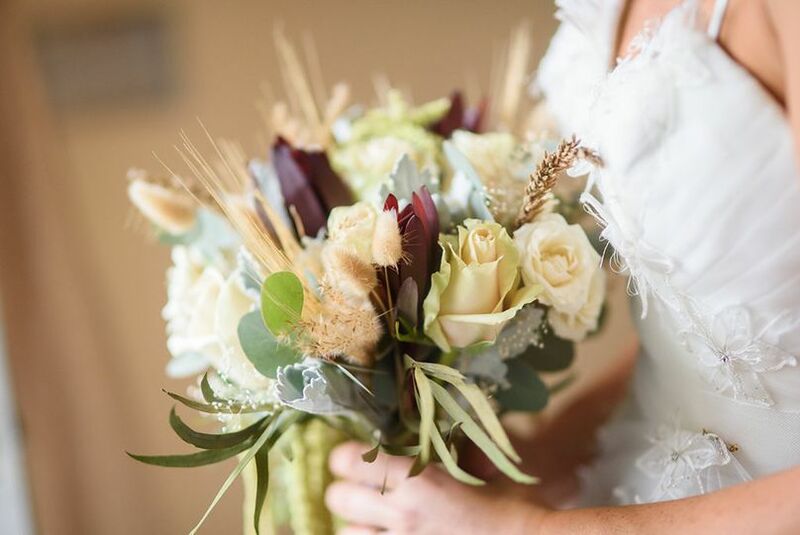 They work with an array of styles, including classic, eclectic, and glamorous, as well as modern, romantic, rustic, and vintage, and will work with you to ensure you vision comes to life. They provide delivery, set up, and clean up, and offer a range of floral items to choose from. 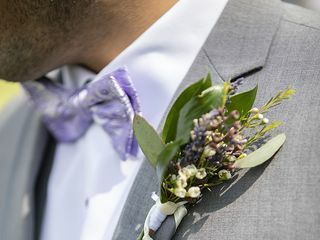 Some of their offerings include aisle and alter decor, bouquets, boutonnieres, centerpieces, chuppah decor, corsages, flower crowns, flower petals, and non-floral options, as well as single flowers. They also have several decor rental items available, such as backdrops, candles and holders, chalkboards, lighting decor, paper flowers, signage, table runners, and more. 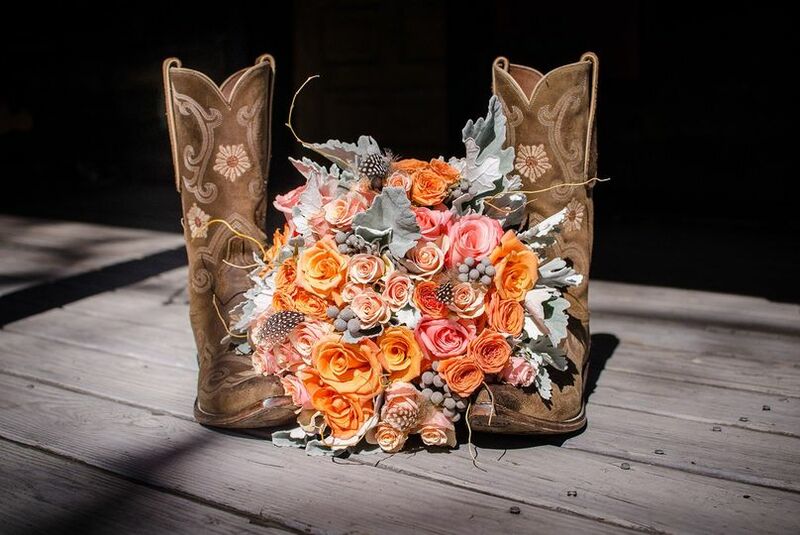 Along with floral design, Farmhouse Fete offers planning services so that every detail from your rehearsal dinner and ceremony to your reception goes exactly as planned. They provide full and partial planning options, with a budget analysis, and handle details such as timelines, to-do-lists, and vendor referrals. 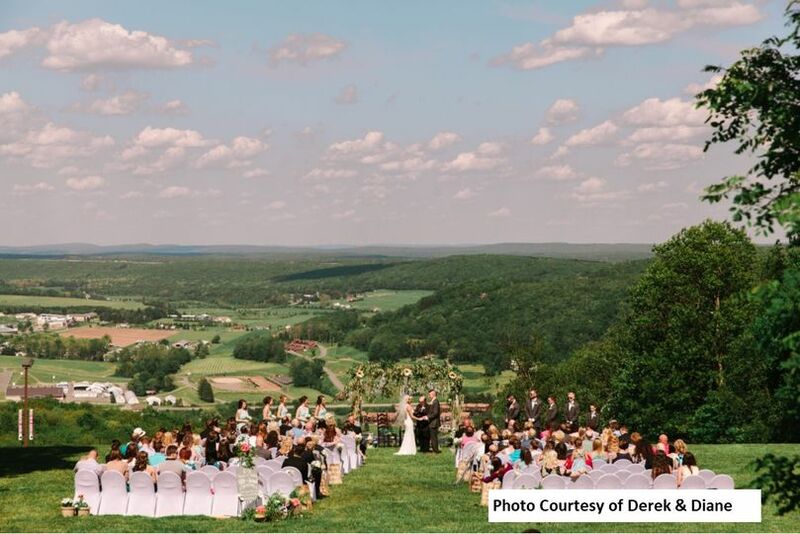 They can handle any type of wedding, from civil or cultural to religious or non-religious to destination or military, and even double or eco-friendly weddings. 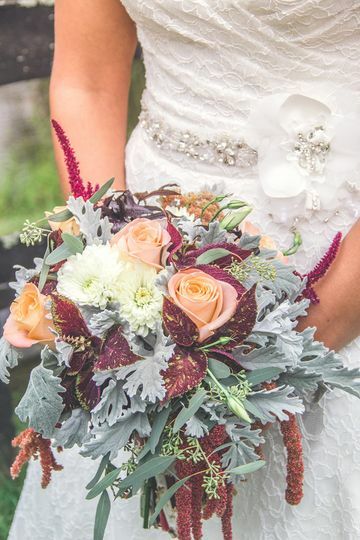 Choosing a florist for our wedding was one of the hardest decisions for me and my now husband. First of all, as we all know, flowers are beautiful and smell great, and then they die … So, with that being said, I am not a huge flower person and do not truly understand them either. 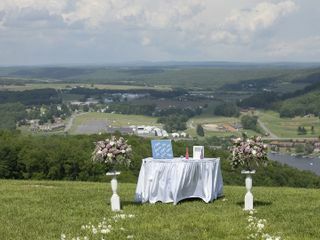 It took me some time to grasp the concept of paying REAL money for flowers that were going to be there for the day and then would be gone the next. After looking and looking, considering DIY-ing flower décor, thinking about fake flowers, and forgetting about the flowers altogether (thanks to Pinterest), I finally decided to reach out to Farmhouse Fete. 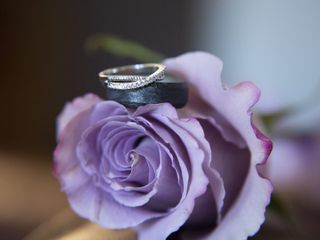 I got a response from Danielle and she immediately wanted to set up a call to figure out what we were thinking about and any possible information we could give so that her and her team could accurately put together some sort of proposal for us. Well, needless to say, Danielle spent so much time on the phone with me, getting to know me, my style, what I wanted for the wedding, my dress, the vision that we had, and truly understanding everything she could. She even understood that our budget was not very much to work with and she did not turn me away, she took all the information I was giving her in and collaborated with me on Pinterest, looking at different options and asking what I liked. She offered alternatives that would be more cost friend for our budget, but still had the same concept as what I was looking for. That experience alone made me appreciate flowers even more. I was thinking after the conversation with her that the proposal would be WAY more than we could ever afford and boy was I wrong! We got the proposal and we were blown away. Great pricing and it was ALL that we wanted and needed. Danielle's patience, determination, and friendliness was unmatched and absolutely impeccable from start to finish! The best money that we have ever spent on flowers, hands down! Thank you Samantha! Working with you was so much fun. You were so friendly and easy to communicate with that it made all of the planning go super smooth, even if we did have some river rock problems lol. 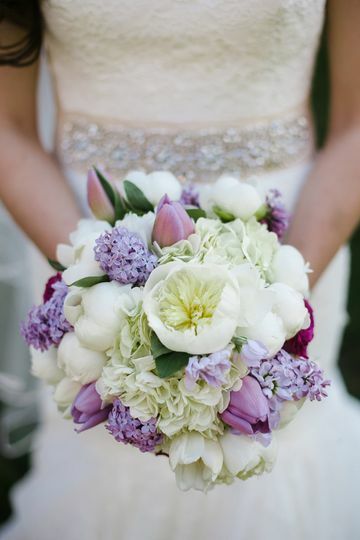 Flowers have beauty and life and a wedding is a great way to teach people about flowers and how amazing they can be. We work so hard on helping people know what they do need to pay for and what they don’t need to pay for when it comes to high quality work. I feel like we aren’t a budget florist, but more of a conscious florist. 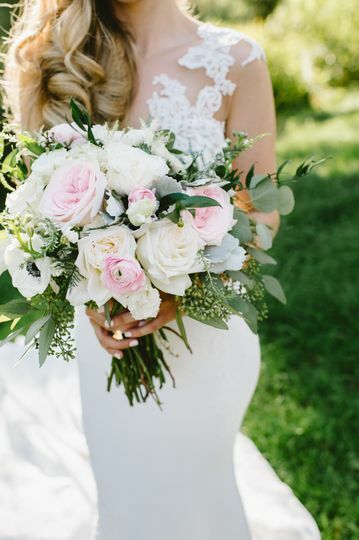 We love expensive blooms as much as the next person and we never sacrifice the quality of our florals, but it doesn’t mean that we don’t work really hard to be thoughtful of our couple’s money and budget. 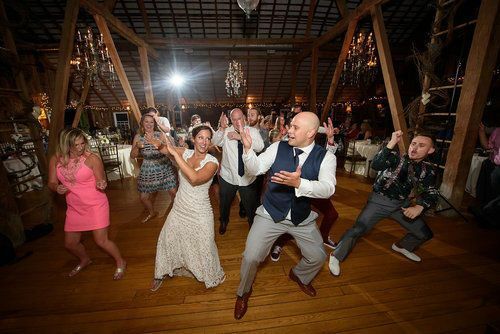 I am so glad that you had such an amazing experience and we are all wishing you and Nick many years of happiness! 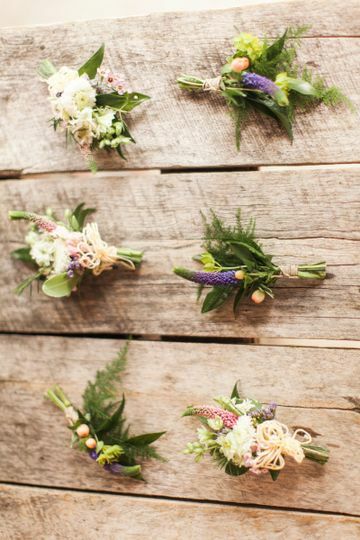 Farmhouse Fete provided the flowers for my wedding at Chanteclaire Farm this summer. My flowers were absolutely beautiful and I would definitely recommend them! We did have to play phone tag occasionally, but Amy was very professional and addressed all of my concerns. I didn't really know what I wanted, but I definitely knew what I DIDN'T want. She took my very vague vision and created beautiful bouquets. She provided direction on the centerpieces and offered suggestions on other decor items. She also rents decor items like votives and table numbers for a reasonable price. The flowers were beautiful, fresh, and vibrant. I even dried my bouquet and it looks stunning. 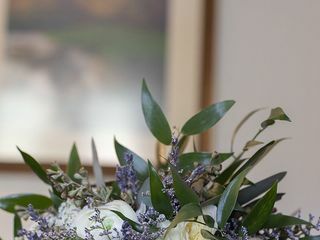 Amy at Farmhouse Fete did an absolutely jaw-dropping job on the flowers and arrangements for my wedding. When I first contacted her, I didn't even know the names of flowers, let alone which ones I wanted. She was able to take pictures I found on Pinterest and whatever beginner opinions I could give on flowers and create something absolutely magical. I loved the centerpieces so much but only took a few home because her company rearranges and donates the left over wedding flowers to nursing homes! The centerpieces I did take home lasted over two weeks! Farmhouse Fete absolutely exceeded my expectations. 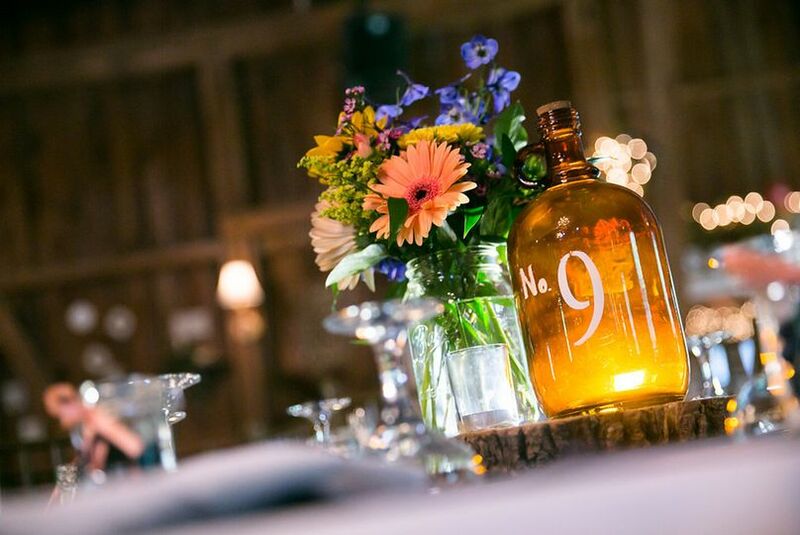 Farmhouse Fete provides professional service and exceptional decorations. Call them for all your decoration needs. 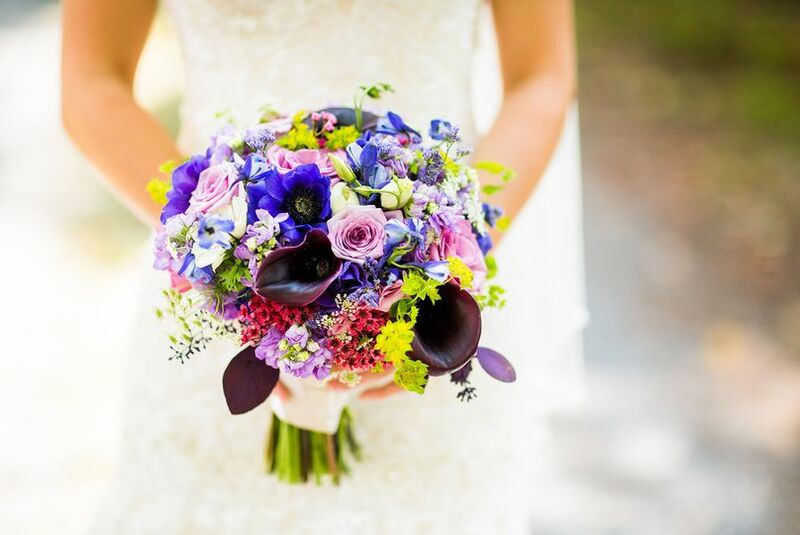 Gorgeous floral design and event styling!